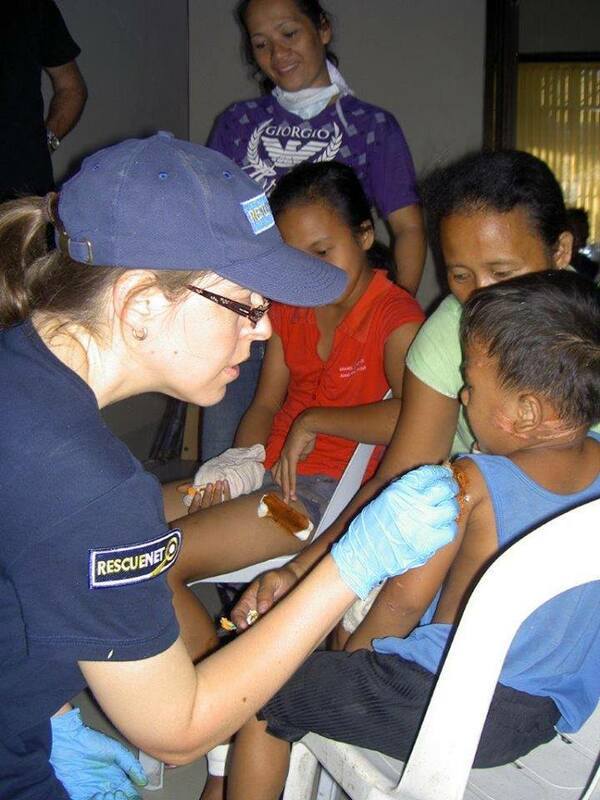 Today several RescueNet team members have gone out into the outer neighbourhoods of Tanauan, Philippines. Together with military personnel and local people they recovered six bodies out of the residing water. Daily up to 60 patients, many are children, are treated in the hospital that has been set up in the Town Hall. They come in with wounds caused by flying debris, like metal roofing, and wounds from accidents happening when repairing their houses. People are grateful for the help offered by different organisations and feel encouraged by their presence. The Mayor is in daily contact with the RescueNet team and informs on the aid provided in Tanauan’s community, with food handed out to 10,500 families. He confirmed 1,200 people have died and 800 are still missing. ‘ It was a beautiful and emotional time to see how the Mayor encouraged his people to rise up to the enormous challenges ahead of them’, one team member said. Keeping this team on the ground is vital to relief efforts your donation will help to cover the deployment costs that make it possible for this team to stay on site.